This pendant design is crafted for the best possible EMF protection. Features a triple Tesla Coil on the front and traditional coil on the back. 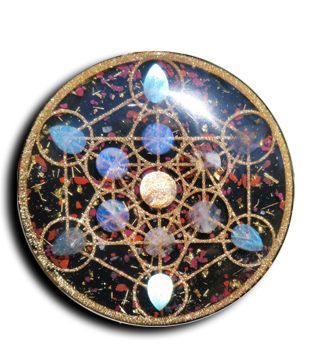 It is also cast with 23.5K Gold Leaf, Quartz and packed with crushed Noble Shungite ( a superior EMF dampening mineral ).